The training of any effective fighter must be directed towards common street attacks and (hard-to-predict) changes in such things as: social and environmental cues, level of aggressiveness/intensity, and opportunities of “unfair play” (i.e. eye gouging, groin strikes, etc). It should be obvious that martial arts (including Taijiquan) came from a more violent time and its movements were designed to protect, subdue or kill. Over the years (some may argue) as we evolved into a more civilized society, we (in the Taijiquan world) re-directed our focus to health and wellness. Who is going to argue, especially if you live in a non-violent area, that martial arts training is best (or more beneficial) if you train it for health? Therefore it comes down to the need (for survival) and/or personal preference. Can you do both? Absolutely. We’ve all seen Tai Chi for health. Does it exist? And if so, what does it look like? First off, while some people DO “Choose to believe that there are secrets/magic” (as Joe Rogan mentions), there are many experienced Tai Chi practitioners that understand that fighting works on the same plane of existence as everything else. “Rooting” is not magic, nor is “directing ones Chi”…but I digress. I don’t want to fall into the trap of saying “It all can be boiled down to 5 simple steps”… however, for the benefit of time simplicity and brevity, I want to make these points known – especially to those that don’t understand the (internal) martial arts. You must have intent. You must have intent to do damage. This is the main thing that the traditional martial artists of Taijiquan will likely object to, because the singular practice of a combative form may (depending on the person) develop a propensity towards violence. This quickly brings to mind a not-so-old saying that is grounded in truth- “What we think about, we bring about.” The often peaceful intent of a Taijiquan brings a sense of inner calm, a harmonizing of mind and body and enhances the likelihood to resist the urge to make altercations physical. This important point of “intention” training, and devising a “go or no-go” plan to initiate leaves a lot to think about on a personal level. Today’s street fight is seldom mano-a-mano. If you are not sucker-punched or thrown off balance suddenly without you first knowing, I’d be surprised. Going back to intent…part of our trying should be directed in fighting and maneuvering tactically in a multiple attacker situation. Forms or katas should include practical movements and practitioners need to practice individual drills that replicate this type of environment and chaos. It’s a great label, but most of us will never “calm” in a street fight. However, all arts (if we are to call them “martial” arts) should be pressure tested. These pressure tests can and should be done quite safely at first with a steadily growing intensity. If one only does forms and katas, there will never exist a true understanding of fight dynamics and your level of skill in dealing with them. As our experience, confidence and skill level grows…the more likely we will be able to deal with adversity. As in the “controversial” video (posted above), China should not be upset with the conclusion. Clearly the taijiquan “master” was unfamiliar with dealing with chaos. Personally, I’d choose Ren Guang Yi to represent the combatively-capable taijiquan fighter. Lastly, if one intends to survive a street fight (all luck aside), one needs grit. “Grit” is the emotional and physical fortitude that presses on when confronted by an obstacle. Grit is courage and resolve and without it.. you are frail and destined to lose. Can some train grit? In my opinion, yes. I believe grit can be built with a combination of training using: violence-prevention drills, gradual pressure-testing of these drills, physical techniques, and sparring. The experience that we accumulate will produce confidence (not blind faith), and confidence in ourselves will be transferable to ourselves on and off the streets. Ultimately, in regard to the martial arts we choose to study, we have to make up our own mind. I’m more apt to say “Train wisely” over “Choose wisely.” After this article, I hope you are. When did you start Taijiquan and what brought you to the art? I was introduced to Taijiquan in the mid-nineties. At the time I was heavily involved in practising and competing in external martial arts and, in those early days, I saw Taijiquan as no more than an interesting supplementary activity. Some months afterwards the teacher I was training with organised a seminar in Manchester’s Chinatown with Chen Xiaowang. It was a very different scenario than the large scale seminars you see today. The group of fourteen or fifteen people were, for the most part, quite new to Taijiquan, but were serious martial artists from different disciplines including Hung Gar, Wing Chun and Karate etc. At the time Chen Xiaowang was about fifty years old and it was obvious looking at him that he was a powerful and confident individual. After giving a short talk, with minimal fuss, he stood up, took off his jacket and tie, rolled up his shirt sleeves for an impromptu demonstration of Chen Taijiquan fajin. The following series of punches, kicks, elbow and shoulder strikes literally changed the course of my life. Up until that moment I’d been doing martial arts for about fifteen years, starting with Wado-Ryu Karate and later training Shaolin gongfu and kickboxing. I had trained with some very proficient teachers, both eastern and western, but this was just on a different level. From that moment I have trained only Chen Taijiquan. Within a few months I was in China for the first time training with Chen Zhenglei. What is your favorite form to practice and why? Overall I prefer to think in terms of training an integrated system rather than picking out one particular favourite aspect. Each part of the Taijiquan curriculum is inter-related and there for a reason. Basic exercises like standing pole and reeling silk exercises, hand and weapon forms, push hands, pole-shaking etc complement and support each other. All Chinese martial arts work towards developing a number of key areas such as: physical strength which is self explanatory; fitness and general constitution – that is, not just good aerobic capacity but also the need to develop physical resilience and robustness; as well as effective techniques – all supported by the Taijiquan requirements that have been passed down, eg. head suspended, shoulders relaxed, elbows lowered, chest relaxed etc. That said, in Chenjiagou Taijiquan the Yilu (First Form) is generally accepted as the most essential core element of practice. The skills developed by training this form provide the fundamental basis for all the skills of Taijiquan and, for this reason, it is often referred to as the “gongfu form”. Rigorously training this form helps to develop correct body structure and movement patterns. By structure I mean both the correct positioning of all the body’s joints relative to each other and from this the emergence of awareness of the body’s core/centre. Modern sports training understands that the foundation of peak performance is the ability to move well, without limitations and with good balance. Correctly approached the Yilu routine refines habitual movement patterns so that they are co-ordinated, stable, allowing a full range of motion, good movement control and body awareness, and good posture. What do you find most “lacking” in taijiquan training today? One of the first things that came to mind is the general lack of confidence and clarity many people have in what it is that they are doing when they train Taijiquan. And why they are doing it. There seems to be a general erosion of the complexities of Taijiquan – with the recent trend towards simpler shortened forms, fast-track instructor’s courses and an expectation of mastery in a relatively short time. Perhaps it’s just a sign of the times. I recently read the biography of Sir Alex Ferguson, one of the most successful British football (soccer for US readers) managers. He spoke of the changes he’d seen over his forty odd year coaching career. An interesting phenomenon he observed was the inflation of the language used to describe players. Today, it seems, every half decent footballer is referred to as “world class”. In Taijiquan also. It seems that anyone who’s done some training is a master or sifu. The same is seen in China, where young practitioners in their thirties are often referred to as “dashi” or grandmaster. If that’s what people want that’s what they want, but don’t anyone kid themselves that they will get the real skill of Taijiquan. The traditional art is a lifetime process of constant introspective refinement. An individual is said to have “good gongfu”, whether it be in Taijiquan or any other pursuit, when it is clear to a knowledgeable observer that they have put three elements into their discipline: The first is that they have studied for an extended period of time; the second is that they have worked very hard or “eaten bitter”; and the third is that they have yongxin – literally “use their heart” – more than just working hard, they have given it their full, deep and unwavering commitment. Traditional skills are hard earned. Taijiquan trained in the traditional way is an all-encompassing development of an individual’s body, character and spirit. It’s easy to recite the list of requirements but what is required is training these requirements until they become internalised and instinctive. This requires a high degree of mindfulness and awareness and focused training. What does your personal training regimen look like? To keep training relevant it’s important to be clear what you are training for and to be flexible and revise your regimen over time. The younger practitioners may be motivated by the most dynamic aspects and the combat side of Taijiquan; older practitioners are likely to be drawn to its health benefits. Chen Taijiquan has an unbroken transmission of close to 400 years with a deep repository of training knowledge to draw from. In terms of my own training regimen, I believe that the best results are from consistency and a commitment to long-term daily practice. Anyone who’s been teaching martial arts for any length of time will be familiar with the students who appear, train with enthusiasm for a while and then leave to do something else. For the most part my training follows the methods taught to me over the years. I try to get in a few hours personal training each day on top of whatever classes I’m teaching. I like to train outdoors if the unpredictable British weather permits, where I train the traditional hand forms and weapons (with an emphasis upon Laojia Yilu). If I’m training indoors I tend to do more standing pole, reeling silk exercises or single-movement drills. I do other aspects such as push hands, when I have a training partner and equipment training like the long pole or Taiji bang when I feel like it. When you’re in your twenties or thirties you can blast through training everyday and any injury seems to heal quickly. I’m in my fifties now and feel that it is important to train intelligently. Now I pay more attention to prehab or injury prevention work. Before breakfast most days I go through a routine of exercises and stretches I’ve picked up from several sports physiotherapists over the years. A couple of times a week I go to the gym and do some cardio on the cross trainer to prepare me for a more demanding stretching routine. What advise do you give anyone starting taijiquan for the first time? Today there seems to be a “Tai Chi” class on every corner and it is not easy for a newcomer to know if what they are signing up for is in any way authentic. It is difficult for beginners to assess the quality of a prospective teacher. Some slick marketing, a nice studio with incense burning in the corner and a room full of students is enough to convince many people. If the motivation for a new student is to get out and meet some people and play at Taijiquan this might be enough for them. With more and more fast-track instructors’ courses, simplified and shortened forms and people claiming lineage to Chinese masters (often after meeting them once or twice and taking a photo!). The first piece of advice I would give would be to hang on to your common sense. If a new learner is serious about doing Taijiquan they should take care to research who they are going to learn from. Everyone has preferences, but It doesn’t really matter which style of Taijiquan they choose (Chen, Yang, Wu, Sun etc). What does matter is that they should be confident that the teacher knows the theory of Taijiquan and its progressive training method; that they have an understanding of the whole system and how it fits together and that they are able to teach this. This is really not an easy thing for a novice to assess! In reality, many “teachers” don’t really know very much beyond superficially copying a set of movements. Taijiquan is much more than just learning a few sets of movements or a few push hands tricks. Some basic understanding of Chinese philosophy and Taijiquan theory would enable newcomers to Taijiquan to ask appropriate questions and get a sense if the class they are looking at is suitable. Having chosen a class, it is especially important for Western students to continue to read and research around the subject. Certain concepts may be instantly clear to a Chinese student who has the advantage of having clear cultural references. For example, the concept of qi may seem mysterious to Western learners, whereas it’s commonplace to a Chinese person. Misunderstanding these ideas is forgivable for newcomers, but lazy in experienced practitioners. I can give one example, recently I was asked by a publisher to write some supportive blurb for the cover of a new Taijiquan book. After a quick read through I came across a statement by the author, a thirty year plus ‘veteran’ of Taijiquan that reads: ‘of course ‘Chi’ was important in ‘Tai Chi’ otherwise it wouldn’t have been included in the name of the art’. A basic knowledge should tell even a newbie how ridiulous this statement is! I couldn’t endorse the book. What concept, principle or exercise do you wish you had learned sooner and why? All the lessons I learned and experience I gained from the fifteen or so years doing external martial arts were valuable. However, incorporating Taijiquan’s core training method added a deeper dimension to my practice. This methodology revolves around the three characters, song (loose), rou (pliant) and man (slow). That is training the body to be loose and pliant through the method of slowness. Slowness is required to pay attention to all aspects both physical and mental. Adding this method into my training greatly enhanced both my mental quietness and the ability to focus on the many small details that ultimately must come together. Taijiquan training is no different than any other martial art in that ultimately it is concerned with improving qualities such as strength, speed and coordination. But, it asks us to achieve them this unique way by focusing upon looseness, calmness and balance as the basis from which these more dynamic aspects can be brought out. Building from this, Chen Taijiquan’s emphasis on the development of circularity and rootedness as the foundation of martial effectiveness and the importance of considering the body as a system rather than learning lots of pre-set attack and defence drills adds a level of reality. Pivotal to Chen Taijiquan’s attitude towards combat is the need to accept the idea of spontaneity and to train yourself to react in accordance to a situation. What are your thoughts on teaching “explosive power” in taijiquan? The development of explosive power, alongside other aspects like strength and conditioning, body structure, footwork and whole body coordination is essential to all martial arts. People who don’t have a clear understanding of Taijiquan’s step-by-step training method often try to make sense of its martial aspect by comparing it to other seemingly more obvious martial arts. Taijiquan has its own way of training martial skill. For example, an important concept lying at the heart of Chen Taijiquan’s effectiveness as a combat system is the use of softness to change and neutralise an attack, followed by hardness to emit power at the moment when an opponent’s position has been compromised. This requires training the whole body as a system. Instead of trying to understand the underlying method, many practitioners become fixated on training set applications, or particular aspects that they are drawn to such as explosive power, low postures etc,. It is not enough to train hard but train in accordance with Taijiquan’s principles and philosophy. To come back to the question of developing explosive power in Taijiquan – a number of different things need to be put in place first before even thinking about releasing power. First, learn to ”fang song” – loosen their body. Taijiquan’s unique brand of looseness allows us to use strength effectively. This is not a small undertaking! As I mentioned earlier, the thing that sold me on Chen Taijiquan in the first place was its explosive power. During my first few years training the system I constantly asked about this aspect – how can I develop my fajin? The answer was always the same – “fang song”. Eventually an instructor in Chen Zhenglei’s school in China asked me if I really wanted to know how to improve my fajin? Finally, I thought, the secret! His advice was, “for the next year, train everyday and don’t do any fajin – just concentrate on being loose”. And then there’s the spiral force, the requirements for each part of the body, how to coordinate the crotch and waist, how to use the floor to employ ”rebounding force”. Approached in this systematic way, in time Taijiquan’s method of using explosive force is realised. Of all the people you’ve met, who first comes to mind when you think of “the successful martial artist”? And why? For me, a successful martial artist needs to tick a few boxes. Obviously they must have a high level skill and practical ability in their chosen art. More than this, I would say that a successful martial artist is not just someone who can do it, but can develop and inspire others to reach their potential. A few years ago I was in Chenjiagou for the 60th birthday celebrations of Chen Xiaoxing. He has lived in the village his whole life. He knows everyone, and everyone knows him. Unlike the lavish, large-scale and well publicised events marking the birthdays of many other famous teachers, Chen Xiaoxing’s birthday dinner was held in the main training hall of his school. At the party there were no officials, no casual Taiji tourists, just a hall full of long time students. At the end of the evening Chen Xiaoxing took the microphone and gave the following simple words of advice to the students present: “Don’t criticise other people. Don’t boast about yourself. Just put your head down and train”. This sentence In a nutshell captures his simple approach to Taijiquan. I first met Chen Xiaoxing in 1997 and have trained with him in his school in Chenjiagou almost every year since 2003. Over the years my partner and I organised his seminars in the UK and travelled with him on all of his European seminars. In that time I’ve got to know his character well. According to Chen Xiaoxing “words are cheap”. Anyone who has trained with him will be aware of his penchant for simple, repetitive and excruciating emphasis upon basic training, with no truck paid to entertaining students. He offers what works and then it is up to the individual to put in the effort. Don’t think about success. Just follow the rules and grind out the skill. I’ve seen students come to his seminars and struggle to cope with his approach. Chen Xiaoxing’s method is designed to produce disciplined practitioners capable of thinking and training without needing someone else to hold their hands. He often says, “It’s no use watching me! The only way to get it is to practice it yourself”. Then, in the old fashioned way he will sit and watch his students trying to replicate what he has shown. Students who like to be spoon-fed and entertained don’t last long, but his many successful students are his legacy. Some of his favourite sayings: “Don’t be in a hurry”; “Commit yourself”; “Don’t talk about other people”; “Put your head down and train”; “Don’t think that you know more than you do”; “Have confidence in what you are doing”. Of all the people you’ve met, who first comes to mind of a teacher or practitioner that amazes you? And why? I’ve been inspired by many practitioners over the years and really couldn’t single out one individual, so I’d rather speak about a few people that have touched my own martial arts journey. First I’d like to mention John Bowen the teacher who first set me on the martial arts path back in 1980. His passion for the Oriental fighting arts saw him build his own dojo, the Red Dragon Karate Centre where he ignited an interest that has taken me to China and the Far East many times. I think sometimes of the atmosphere in those early classes when he would drive us to always be faster than the person next to you in the line. I still remember as a raw teenager sitting in the back of the school minibus on the way to my first open tournament as Sensei Bowen gave us his unique brand of pep talk: “My green belts beat other people’s brown belts. My brown belts beat other people’s black belts!” In those days anyone could be there, kung fu, karate, thai boxers, taekwondo –He sadly died at an early age, but I do wonder sometimes what he would make of my martial arts journey. I’d also like to mention Wado Ryu Karate Sensei’s Kuniake Sakagami and Peter May. Training with them introduced me to a different kind of discipline. Sakagami would drive us really hard, and when he eventually shouted “stop”, expected us to maintain composure no matter how exhausted we felt. In later years I’ve come to appreciate this training more and more. The ability to remain calm and composed on the surface, when inside you feel like you’ve gone way past your limit is real martial arts training. Taijiquan training offers endless opportunities to temper oneself this way. The requirement to remain calm, centred and loose within the “bitterness” of holding postures or maintaining correct structure during movement slowly transforms a practitioner’s character to be more patient and enduring. Too often people want to show everyone how hard they are training, or want a pat on the back each time their legs tremble a little bit. Peter May was a great example of personal discipline and dedication. Up until today he has followed one method and one teacher for over forty years. In a world where people flit from one thing to another, this kind of focused polishing of an art is a rare thing. I’d also like to give a shout out to my Shaolin Gongfu teacher Shahrokh Nael with whom I began the transition from Japanese to Chinese martial arts. What book (besides your own) have you most gifted or recommended to others and why? I love the book Winning by former England rugby union coach Clive Woodward. In autobiographical style he explains how an ageing team of athletes most people assumed had seen their best days were transformed into the premier rugby team on the planet, culminating in their victory at the 2003 World Cup. Central to Woodward’s philosophy was the idea that by improving one hundred aspects of sporting performance by one percent, the overall ability of an individual would be unrecognisable. For a serious and experienced performer in any discipline it can seem impossible to make significant improvements in any single area be it strength, speed, nutrition, discipline, recovery, or any other measure. Woodward, however, believed that the accumulation of tiny positive improvements would ultimately lead to a radically improved performer. He was proven right. Anyone, whether they are an athlete, martial artist or regular person balancing work and family can believe that they can improve by one percent. Generations of Taijiquan practitioners have known this truth and have left a blueprint for developing every aspect of a person. The prerequisite for bringing this blueprint to life is accepting that the deepening of one’s knowledge and skill must occur naturally and gradually. If you were to die and come back as any martial artist, which one would you be and why? This was actually a hard question to answer. Usually I’m quite happy just being myself. But if I had to pick I wouldn’t mind coming back as Li Mu Bai, the character Chow Yun Fat played brilliantly in Crouching Tiger, Hidden Dragon. I’m not much into martial arts movies, but I love the scene when he trains alone in a moonlit courtyard with his “Green Destiny” sword! Chungliang, Al Huang was one of my earliest experiences in Taijiquan with his book, Embrace Tiger, Return to Mountain. I read it again when I decided I was going to teach the art form. His philosophy and playfulness in what is often an “atmosphere of seriousness,” a breath of fresh air. Allowing music, nature, and dance to enhance and revitalize the spirit and influence the direction of your practice – these are just a few things that I took from his example. But here are some of the questions that both myself, my students and our CombativeCorner readers had to ask Master Chungliang…. How did you come to first play taijiquan? As a child in Chinese villages hiding from the war, observing nature’s flowing movement, and inspired by EveryMen and Women of China, believing in waking up the bodies first thing in the morning, in the “Watercourse Way” of organic Tai Ji moves, cultivating the Body-Mind-Spirit entity. I embodied my Tai Ji playful-ness through osmosis naturally. What did your friendship with the philosopher Alan Watts entail, and did he have any influence on your teachings of the Tao, Taijiquan, etc? We met by destiny, Chinese call it Yuan 緣。Mutually appreciating the opposites in each other for personal inner growth and outer balance. As he wrote in the Foreword of my first book, “Embrace Tiger, Return To Mountain”, “For us, the East and West have truly met.” He was my mentor, colleague, and kindred spirit; he helped instilling self-awareness, confidence in myself of my unique potential and integrity, to become a lifelong student and teacher of TAO. He put me at ease to be an intellect, the scholar/philosopher, and I helped him to trust his spontaneous dancing self. His words made my dance more sublime; my dance helped his words to soar. We were blessed to be partners when we taught together—but sadly for such a short few years before he passed on. Now, more than ever, his writings, words continue to grow in me and in my teaching. His legacy lives in me and will perpetuate on and on for everyone who reads him and still can hear his voices on recordings he made. I feel blessed to have known him and learned from him, and shared our explorations of “TAO: The Watercourse Way” together. As taijiquan players we seek for balance and rhythm in our lives. How does music shape (and/or enhance) your taijiquan practice? Tai Ji resonates with the Music of the Spheres, especially the rhythm and the organic patterns, Li 理 in nature. When we dance Tai Ji, we reverberate the “Silent Sound of CHI/QI”. We also have such vast repertoire of great Music from all around the world and all ages, to play with and find inspirations in. Music is a great guiding force to dance to and flow with, allowing structured sound and natural rhythms to fine tune us in our movement practice. But the best and the most inspiring music is in the Sound of Nature, such as the roars of Ocean waves, the soft quietude of changing tides in the River, the bird songs and its ethereal silence in the forests and woods… on and on… Music is everywhere, shaping and forming our Tai Ji dances of Living. Studying forms is a necessary discipline, nothing wrong with this emphasis, but it can also be very dry, even robotic in fixing our practice too rigidly. We must not forget we are human beings made of flesh and blood, filled with raw emotions and feelings. We cannot ignore this multi-dimensional consciousness of being a Whole Human Person when we focus on the discipline of forms and structures. Both form and genuine expression of human emotions are important. They are inseparable as Yin/Yang can never be separately regarded as only Yin or Yang with the “and” in-between the two integral, embracing halves. Simply meditate on this marvelous “YinYang Tai Ji” sign and you will be instantly transported, to embody this never-ending, ever-changing transformative Polar Dance, to realize the ultimate ONENESS in yourself, to be Fully Human. In the early years, perhaps my approach to the creative freedom of Tai Ji practice and teaching might have raised a few eyebrows from the traditional Tai Ji teaching community. In fact, a few even criticized me for using music, improvising the motifs, and just being too joyful—smiling too much! Their critical but gracious comments came with this, “Oh, he doesn’t do Real Tai Ji. He only Dances Tai Ji! “, which was the perfect description of what I was hoping to do in my philosophy of practice and teaching. I bowed to them with this compliment. Now, nearly half a century later, I think I have proved myself to have been actually Doing the Real Tai Ji after ALL. Time always tells the truth and reconfirms the real “Tao” Way in the end. Why hasn’t taijiquan been able to bring a younger crowd, like other exercise forms like dance and yoga? What is your primary teaching message? Learn about The DANCE of LIFE and DANCE in the TAO with its perpetual FLOW in Time of Now and Space of Here. Stay open-minded, open-hearted and Be a perpetual Beginner in Lifelong learning, always have the ability to Be Amazed with the mystery of Life, and in what we are constantly discovering day by day. Become a TAI JI DANCER of LIVING! As I still keep on learning and exploring, I can hardly think in that way for a fixed legacy to be remembered. I have always empathized the fact that I have continued to transform and grow, therefore never the need for my students to copy me as if it is the ultimate. When my students blame me for changing my forms after a period of their absence, I would chide back to say to them, “Are you still doing the same Tai Ji I taught you so long ago. But in the meantime, I have transformed and improved. Are you still doing the same old Tai Ji from way back then, getting fixed and stuck?” It is the same about my teaching which will continue to grow and transform and become more in the Here and Now, as I grow and mature and, hopefully become wiser and purer– in the Tao sense of “returning to being a child again; to return being the ‘uncarved block 樸 and unbleached silk 素’ “. Don’t forget that the author of the classic, “Tao Te Ching”, called himself Lao Zi, the “Wise Old Child”. Is there a myth in Taijiquan, in Taiji/Tao, that you’d like de-mystified? Yes, do not fix on any ideas of how Tai Ji Quan was first invented in some legendary fantasies. Never put them into a box or on the altar to worship and imitate. The “original tai ji” is for all people, and for all times, needs to be re-invented every day, anew. Tao must not be “ismed” and be put into a box, the same way we cannot quantify and sectionalize the Watercourse Way which is always flowing and changing. There is also no such a fixed person as a Taoist. Take the “ist” away and simply live as a human person, following the Tao in daily living. “Living our Tao” is not the same as Being stuck within TaoISM, and trapped by being a TaoIST. What do you hope to accomplish in the upcoming 5-10 years? Keep on doing what i am inspired to do, keeping up with my joyful creativity and my Dance of Living. Life is much too ephemeral and brief. 5-10 years can slip by in an instant, or become suspended in the “Stillness in Motion” of the DANCE, in “The Eternal NOW”, depending on how we live the years still given to us. Be grateful to being Truly Alive each day. It is not the goal in the end that counts; it is always what and how we experience the journey we are taking in everyday living. Each moment well lived with joy and gratitude is the ultimate accomplishment. Published in November of 1973, it is probably safe to say that North American hadn’t had its influx of Taijiquan influence, however it was this author and masterful teacher, Chungliang, Al-Huang that helped me to form my vision of what I wanted (my personal) Taijiquan to become. There are many parts to Taijiquan and although everyone will see them differently, Master Al beautifully illustrates what they can grow into, and how you can use the power of Taijiquan to create boundless energy and freedom. Pros: This book is highly under-rated. Because of this, people are selling used copies for only pennies. Cons: Many people are interested only in the combative potential of martial arts (even Taijiquan) and will thus will get very little joy from this movement/energy/spirit-based book. Published in 2008 by one of my early teachers, Master Yang Yang, this book is more detailed on the science and study of Taijiquan as a martial art and system of mind-body therapy. If you are looking for a clear explanation how and why Taijiquan practice can benefit you, look no further! Very thorough and well-written, Master Yang Yang gives you the foundation for not only Taijiquan practice but gives you principles that can benefit all martial artists. Pros: This book encompasses everything that is great in a martial art book. Very easy-to-read, and explains what is (for some) a difficult, and deep subject to breech. As an indoor disciple to the late Grandmaster Feng Zhiqiang, and someone who stands strong to his Master’s teachings, you can feel and can’t help but to get swept up in the feeling that this could have easily been written by the founder of Hunyuan Taijiquan (GM Feng) himself. This book, written by Hong Junsheng was translated and published by his disciple, and my primary teacher, Master Chen Zhonghua. Hong Junsheng, as many of us know, was the most senior disciple of Chen Fake; one of the true legends of all Taijiquan. Hong spent his lifetime dedicated to the cultivation and perfection of his master’s art, faithfully practicing and passing on his master’s teaching. If any book can be called a “Masterpiece,” this one should! Pros: The one and only book diving right to the source of Practical Method theory, a useful resource for any martial artist (particularly those that study Taijiquan). Although the book can be costly ($39.99 at PracticalMethod.Com), you can get a digital copy for only $20. Cons: In order to obtain a copy of this book, you’ll have to spend $39.99, which makes this the most expensive book on the list (and it’s not even hardback). Although you’ll be reading a well-translated volume, the read can be a bit tedious; more cerebral in parts. There are parts of the book that are quite poetic and without a bit of clarification here and there (most likely from Master Chen’s articles, videos and workshops) you might misunderstand certain concepts. Needless-to-say, this book is certainly for all serious practitioners of Taijiquan (particularly the Practical Method). Well there are certainly some other books that I could add to the list, but these are my TOP 3. Do you agree with my list? WHAT BOOKS WOULD MAKE YOUR LIST? FOLLOW US ON INSTAGRAM, FACEBOOK OR TWITTER!!! 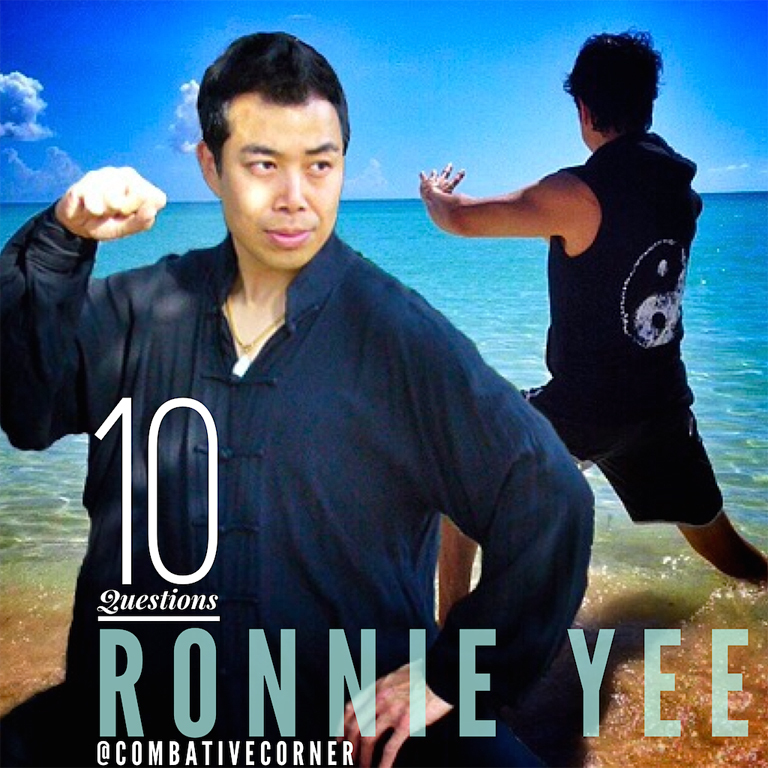 Ronnie Yee is a martial artist from Regina, Saskatchewan, Canada but now lives in Vancouver, BC. He is a student of Chen Zhonghua and a dedicated Chen Style Practical Method practitioner and teacher. I (Michael Joyce) first met him at Hunyuan World, a gathering that Master Chen set-up at the end of our extensive training course. During these few days, I got to meet, speak and get-to-know my taiji brother Ronnie. One thing was very true – this guy knew his stuff! Those of us training towards our certification were even more impressed with Ronnie’s explanation of complex taijiquan concepts and his willingness to share his knowledge with others. Nowadays, with social media and advances in communication, it’s even easier to reach out to him. For anyone interested in learning more about Mr. Yee, please comment on this interview or email us directly at CombativeCorner@gmail.com and we’ll make sure he gets it. Now,… for our Special World Taiji Day Interview! What brought you to the martial arts? I grew up in the 70-80s in a small prairie Canadian city. At that time, there was very little social media influence and no martial arts schools. My sole exposure were television and movies; the martial arts stars: David Caradine, Chuck Norris, Jackie Chan and my favorite, Bruce Lee are what got me hooked from a young age. The city’s first martial arts school, a traditional kung fu school, opened in 1979; I learnt of its existence in 1980 and I joined right away. From that moment on, the practice of kung fu consumed my life. As time went on, more styles of martial arts began to emerge in the city such as: Tae Kwon do, Karate, Judo, Aikido and Muay Thai, to name a few. I became friends with students in the other martial arts and trained with them all. My momentum in the martial arts exceeded many of my classmates and my ego was in full-bloom. I was a case of “big fish, small pond”. In 1986, everything changed, I met Master Chen and was humbled to the core. Master Chen was the embodiment of the true martial artist and as much as I feared him, he became one of my greatest mentors and helped me to become the martial artist that I am today. What were the first few years like studying under Master Chen? I was a juvenile sixteen-year-old when I first met Master Chen. At the time, Master Chen was teaching ESL in my high-school and he decided to start-up a wushu/taiji class after school. I was excited to attend his first class and show-off because, as far as I knew, I was the best! Needless to say, I was quickly proven wrong. The very first demo of the very first class, Master Chen used me in a demo and made an example out of me. My ego collapsed and I became his student. Master Chen had a very strict regime but it didn’t begin with taiji. He wanted all of his students to have a foundation of wushu basics and the discipline that came with it. His training was gruelling. As students we had no structure, no discipline, no natural talent and no maturity. We were never fast enough, never low enough, never flexible enough, and never up to his standards. After roughly 3-months of wushu basics, the classroom size shrunk from 15 students down to only 3. It wasn’t until he knew that we were devoted to the arts that he began teaching taiji. Master Chen always wanted perfection from his students; it was very frustrating for all of us but probably most frustrating for him! You have a great skill at teaching and expressing your ideas. How did you excel as a teacher in your own right? After having studied 2 years intensively under master Chen, he left Regina in pursuit for his career in teaching at a secondary school in Edmonton. I was thrust into the role of instructor to my classmates. I had to validate my theories into practical reality regardless of the skill level I was at for that time. This way of teaching has always been an ongoing, evolving process throughout my life. If one thinks they have found the absolute ultimate truth, then they have stopped learning and stagnate. That is why my philosophy is based on being humble and learning from everyone regardless of their skill level. I put my ego on check, and take all criticisms seriously and try to better myself. Even the most diehard beginner that walks into your class for the first time can teach the instructor something of great value. Master Chen’s way of teaching using many concepts and analogies to describe one paticular move definitely had significant influence on me. To look at one thing from numerous angles so that a student can understand. Presently I come to the realization that I am very critical of myself. Watching recent videos I see so many mistakes and weaknesses. I see these same errors in many others. I have become obsessed with finding ways to express the way some particular move or application is being performed. Also I have been to workshops or classes with other instructors in other systems. You watch for ways that work well for people and you borrow teaching methods. It’s important to know how each individual student learns best and suit the teaching to them. Out of all that you’ve studied, is there something you enjoy most (form, weapon, etc)? If there is one thing that I enjoy most, it would be the validation when an application is successful. What does Taijiquan mean to you? As a martial art, Taijiquan challenges practitioners both intellectually and physically. For me, Taijiquan is the balance between good body mechanics, physics and health. I believe Qi is the energy of all things. I do not understand how Qi relates the the practical application of martial arts but I do recognize Qi’s benefit to the spirit. Besides Master Chen, have there been other mentors/influences that have greatly impacted your evolution as a martial artist? In 91′ I went to China for a summer and trained under Hong’s disciple, Zhang Lian En. He influenced my physical mechanics by improving my grounding and strength. Around this time, Joseph (Master Chen) and I were introduced to Liu Chengde (another one of Hong’s disciples). Liu Chengde taught me the soft side of chen taiji which helped balanced the art. Over the years I have sustained my share of injuries and have endured many pains in the body. In the Early 2000s I met a woman named Amelia Itcush who taught me the Mitzvah technique. In simple words, the Mitzvah technique is the base of body alignment through natural movements. Following 3 years of consistent Mitzvah practice, all my pains disipated and I began to incorporated the techniques into my taiji. In recent years I have had my eyes opened to real world effectiveness of the Filipino Martial arts and Brazilian Jiu Jitsu. I like to study these two arts specifically because it helps me think more critically of taiji applications. Presently I mostly focus on single drills, positive and negative circles and specific movements of both yilu and paochui (the 2 main hand forms in the Chen Practical Method). I rarely practice the forms from beginning-to-end as I prefer to isolate each movement within the form and deconstruct its application. I also do modified pole shaking exercises, modified chin-ups, and modified pushups, that simulate taiji mechanics. As stated in the previous question, since the early 2000s the Mitzvah technique has become a part of my everyday motions. Do you feel that Taijiquan will sustain your interest/passion forever, or do you wish to supplement your training with other systems of study? Taiji as a martail art is so beautiful, detailed and complex that it could capture my attention for multiple lifetimes. I love it for the counter-intuitive approach to body mechanics. Although I plan to practice taiji for the rest of my life, it would be unwise to be blind to the strengths of other martial arts. One of my character flaws is procrastination but I do plan to learn more from Brazilian Jiu Jitsu and the Filipino Martial Arts. When I first met you, I was amazed at how multi-talented you are (magician, wushu, rope dart, massage therapy). Do you still engage in all of these activities and do you have any other things that take up your day these days? What’s new in the life of Mr. Ronnie Yee? My girlfriend of 6 years and I recently moved to Vancouver. I still teach taiji, still do massage therapy and am still very passionate about magic. I personally think the study of magic has helped my taiji. Puts me into the mindset of drilling every nuance to perfection. I dabble in many things but those are the main pieces of my life. If you could meet one martial artist, alive or dead, who would it be and why? It’s a tie between Hong Junsheng and Rickson Gracie. They have both been or are true legends of their craft. Hong Junsheng obviously because he is my grandmaster and is the one that shaped the art for how my teachers taught and how I practice. I briefly met him in 1991. But unfortunately did not get to experience his ability. So that is why I would like to meet him again. To learn taiji but very importantly to feel his skill. Rickson Gracie is undeniably a legend in the world of BJJ. To me high level BJJ appears to have a lot of the same physics as high level taiji. I would love to experience the crossover between taiji and BJJ at this level. The art of Taijiquan is a big part of my life. It has helped me to eradicate my low back pain. It has helped me become a relaxed and patient jiu-jitsu practitioner. Taijiquan has certainly helped me to manage stress, and channel these stressors effectively. In 2010, I remastered my dvd on the Hunyuan 24-Posture form of the late, Grandmaster Feng Zhiqiang. Being December 30th… just a short time till our New Year begins… I’d like to offer this dvd for a low price (U.S. only). If you are interested, please click on the above image. 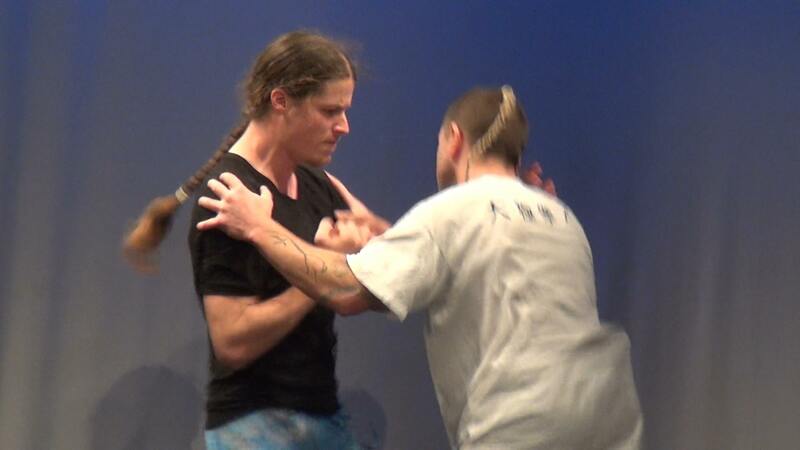 Push Hands, is probably one of the most misunderstood training methods in Taiji. Most schools of taiji teach push hands for the sake of doing push hands, to beat other people at push hands. Taiji is about learning how to defend yourself in a fight. Pushing is not fighting. No one is going to come up to you in the street and try to push you over. They are going to punch your face in, then kick you while you’re down. I know people who have been training in push hands for many many years, and they are very good at “push hands”. If I play push hands with them, we are of equal skill etc. However, I have been taught to hit from push hands. With these same people, when I start to put in any kind of strikes, they have no idea what to do. Because they have only trained in how to push. They might for example push me a little off balance, which makes me react with a strike. Followed by “you can’t do that, we’re doing push hands!” This only applies to a beginner doing push hands. Of course they must do it in a certain way, to learn certain principles. But if two advanced Taiji practitioners are doing push hands? You can do what you want. You can stand there and kick me in the groin, or head but me in the face. If I cannot stop you? My push hands is not good. Ok, so how and why do we train push hands? Most schools of Taiji teach Push Hands from the same stance as they would use in the Taiji form. See picture #1. This is a big mistake! The large stances in the form, are there for 3 main reasons. 1, to build heat in the legs to help the flow of Qi. 2, to strengthen the legs. 3, to stretch the legs. It is for health and exercise, and is in no way meant to be used for fighting. The big stance in push hands teaches us many bad habits. My father Erle Montaigue, use to teach big the stance to beginners, then he would advance them onto the small stance later on. This is how he was taught. training yourself to be able to fight from the stance you’re already in when walking down the street. The only way to deliver force from a small stance, without losing balance, is to use the same muscles as you would to strike. Via twisting of the waist, compression and release of the spine. Thus training your body how to strike with power. In a big low stance, you will be more likely to be training your body in the best way to push. There are no pushes or pulls in Taiji, as they do not have a place in self defence. 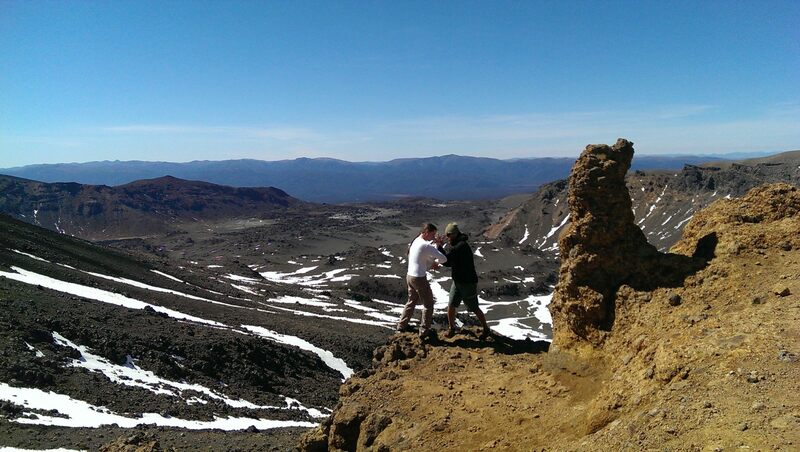 Unless your opponent is standing on a cliff edge! hoping it would make you a faster runner. You have to train the muscles for the work you want them to do. When we hold a big stance, this causes us to get into a forward backward weight change. The pusher comes forward, the receiver evades by sitting back. See picture #1 again. What’s the first thing you learn in self defence? putting yourself in a vulnerable position. See picture #2. In a small stance, when we shift the weight, this causes us to evade to the side, maintaining our forward intent. This now changes the intent of the pushing, from you attack and I defend, to you attack and I defend by attacking! In every attack there is defence, and in every defence there is attack. Basic Yin and Yang. See picture #3 and #4. Notice the closer proximity of the players, and that in Lu #4, it is applied with an intention of sitting to the side, rather then sitting back as in Pic #1. The mind set is most important in Push Hands. Even if you are doing a pushing movement, you should have the body structure and intent of striking. Ok here is where a lot of people get things wrong. Ever heard the quote “Steel wrapped in cotton?”. This means we should seem soft on the outside. It does not mean we do things in a soft manor. Anyone who tells you that you can defend yourself without using any substantial force, has clearly never been put under pressure. What we do however is to structure the body so, that we have to use very little strength to get great effect. This is what P’eng training is all about. We learn this first in single Push Hands. For example, when I do Push Hands with a beginner, but someone with much bigger muscles than me, their arms will get sore before mine. To them it seems like I have really strong arms, not that I am all soft and jelly like. But in fact my muscles are not stronger, it’s just that I am structuring my body so that I only have to deal with half the pressure. beginning can cause the student to use bad technique. But be sure to increase this to as much pressure as you can develop, as someone attacking you is not going to do so lightly! From the receiving part, well you should use as much pressure as you need to. As you get more advanced, this amount will get less, as you will learn to move your centre around the force coming in. Very soft training has it’s place, this teaches us to “listen” with our hand. But to have this as your only practice? Well that would be like learning to kick without being able stand on one leg. I did not get pushed over. I got punched in the side of the head! Or kicked in the groin! Two advanced Push Hands players should look like they are having a fight, not like they are dancing. Then the power speed and aggression of the attacks are increased gradually, till they are full real attacks. Any type of attack can be put into push hands, from a practical cross punch, (see picture #5) to a silly back spinning kick to the head. It is most important not to see Push Hands as a competition! It is a training method. Yes you try your best to hit the other guy, so you could say that you are trying to beat him. However, what you have to do in your push hands, is to use all types of attacks, not just the ones you’re best at. For example, if I was competing, I would only use the techniques that I knew were best for me. But this would not give my partner a very rounded training. I would never throw a back spinning kick in a competition, because I know it is not my forte. Same with grappling, I would not use this if I wanted to beat the other guy. But I will use them in training, so that my partner gets to train against them. I still throw the attack as best I can, trying to catch my partner out. But knowing that due to the fact that I am throwing an easily defeated attack, I will most likely be the one to get hit. I have tested this one many people. They only train practical attacks, then they get hit by the silly attacks, because they are not use to them. something your partner is doing. And when you are training your subconscious to react, you want to train it in the most practical way that will be best for protecting yourself in the street. Your first reaction in a situation should be to strike. It is the quickest and most likely way to protect yourself. See picture #6. In my opinion, other methods such as arm/wrist locks, sleeper holds etc, should only be used when you know you have control of the situation. Perhaps there is a drunk guy in the pub, you have some mates there, you know there’s no real danger. So you would try to take care of the guy without doing too much damage. But someone breaks into your home and catches you off guard, you have to protect your family. So your first reaction should be to strike. This is why we practice our locks and holds from the attacking part of push hands. So to consolidate, if you have been training in push hands for anymore than a year, but don’t feel comfortable when someone is throwing punches at you, then your push hands has not done its job. As I said at the top, what use is a training method that only makes you good at doing the training method. 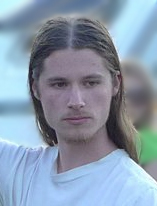 Eli is a guest writer for the CombativeCorner. If you enjoyed this article, please check out the others that he’s done for us. Enter your email address to subscribe to Combative Corner & receive notifications of new posts by email. Unauthorized use and/or duplication of this material without express and written permission from this site’s author(s) and/or owner is strictly prohibited. Excerpts and links may be used, provided that full and clear credit is given to the article’s author and CombativeCorner with appropriate and specific direction to the original content. ...and to our many fans! The CombativeCorner is run by Michael Joyce of ChenCenter.Com.